As our wedding day gets closer and closer, I'm happy to say that I've completed what many would say is one of the hardest tasks! For me, it was an easy process. Choosing my wedding dress was something I did early on because I knew when we began talking about marriage, finding the perfect dress can be time consuming. I knew I wanted something affordable yet elegant. 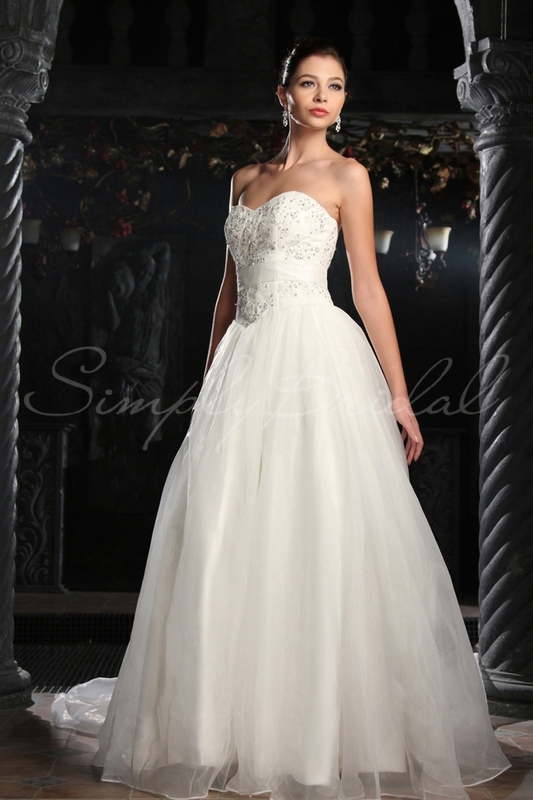 After seeing online advertisements for Simply Bridal, I chose to take a look at their website. I was immediately intrigued by the dresses and even more, the prices! They had gorgeous dresses for as low as $100. I started to browse through the wedding dresses and I saw so many beautiful designs. I also loved that many of the designs I liked had positive reviews. As you can see, I have a thing for the fit and flare look. The one I chose is not pictured. I'm saving the one I chose for my special day. To learn more about Simply Bridal, click here. 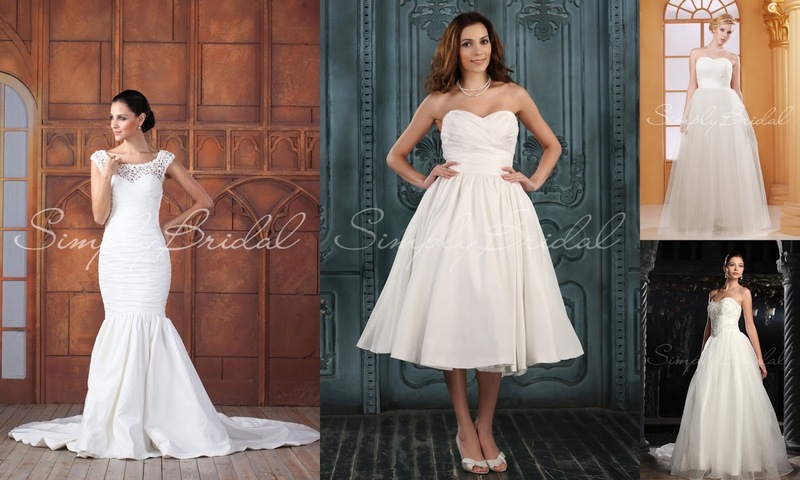 Have you heard of Simply Bridal? Did/Would you purchase your wedding dress online? They all look lovely and very affordable, and yessssss i would so totally buy online, several sizes too big..and fast. Only because you can easily fit it accordingly to your size with a good tailor and fast because if all else falls beyond expectation, you'll have enough time to shop around. easy!!! I have never heard of this website. This is great, thanks. I've never heard of this site. My mother found my wedding dress online. We ended up finding it in a local store. It was on sale and there was only one left. It was my size and that's when I knew (before even trying it on) that it was meant to be. Can't wait to see your dress! I love the idea of affordable wedding dresses. I'm going to add Simply Be to my wedding vision board. Definitely do! Even though it's a special day, I don't want to go in debt on that day so I felt this is a great website to use. Oh yes! That was a sign from God. That was totally meant for you! :-) I can't wait to share photos after the big day. No problem Zara! Thanks for stopping by! Those dresses are so cute and affordable! I have to buy a prom dress for my daughter (insert gun to head here) and I'm definitely going to check them out to see if they have any options. Can't wait to see what you chose! Very pretty! The abbey reminds me of my grandmothers dress except she has lace sleeves but the rest looks the same! How exciting that you're getting married! Love all of those dresses but that Trinity gown is a stunner! I found my gown at this huge Bridal Mart store in Burlington NC. I didn't think about shopping online for it, but I love how Simpy Bridal has the "try at home" option. Very Pretty!! I love wedding dresses! This was one of the easiest task for me also! I found the dress online then I went and tried it on and it fit perfectly! Thank you so much for sharing this site! I'm going to favorite it now.